Alexandra Early has a BA from Lake Forest College and works as "Haute Living" magazine's junior online editor. She has been writing professionally for three years and has previously worked for "Men's Fitness" magazine as a contributing editor and also as a social media editor and ghostwriter for nonprofits in CT. 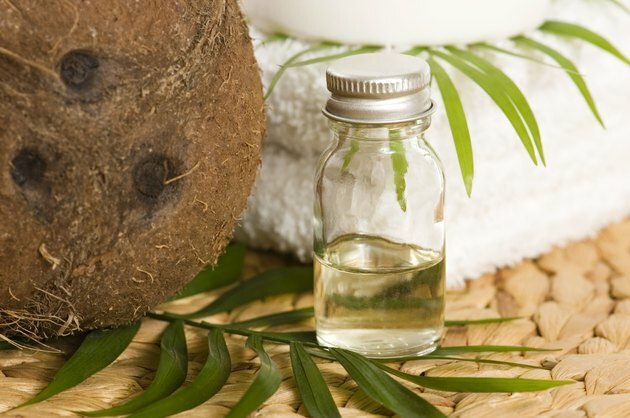 Using coconut oil on your skin can be the difference between flaky, dry skin, and soft, glowing skin, as this oil is known for its moisturizing benefits. Widely used in skin creams, soaps and lotions for its effectiveness in fighting dry skin, coconut oil also helps to sooth various other types of skin conditions.